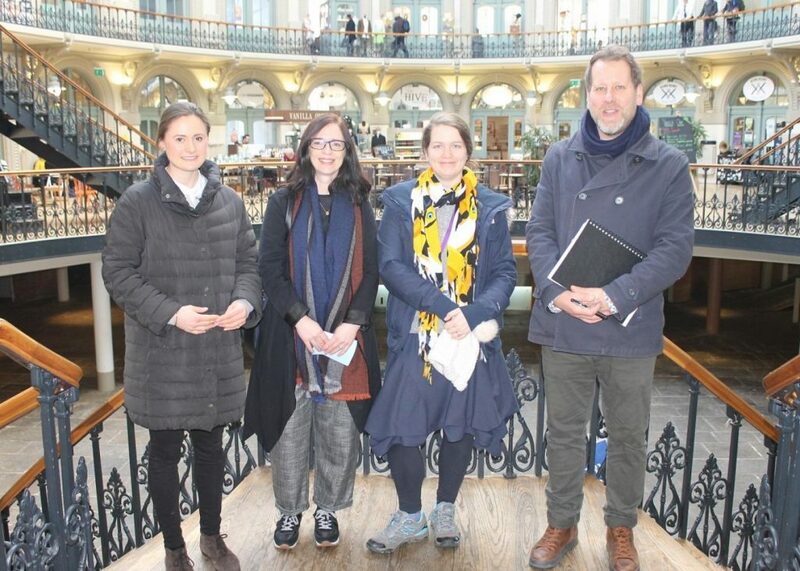 A group of talented product design students will soon see their innovative table and chair concepts furnishing one of Leeds city centre’s most illustrious landmark buildings, thanks to Leeds-based property company Rushbond PLC. The award winning property investment and development company formed a partnership with Leeds Beckett University back in 2014, establishing an arts scholarship programme. First Year Product Design students have this year created a wide range of stunning table and seating designs for the new Kitchen Yard area within the iconic Grade I listed Corn Exchange. Rusbond acquired the Corn Exchange in 2017 as part of the company’s continued investment and revival of the Kirkgate area of Leeds. The company has recently embarked on an evolutionary programme of improvements which include the re-configuration and re-activation of the lower ground floor with the new Kitchen Yard that will provide a unique and vibrant space for independent food traders will serve up a huge range of delicious delights. The multi-functional Kitchen Yard will also host events and exhibitions, and all the designs created by the University students will be exhibited in the space during March and April. The most successful design will then be taken into production for installation later this year. Robin Brinkworth from the Leeds School of Art, Architecture & Design, which is part of Leeds Beckett University, says: “This partnership has provided our students with a unique and exciting opportunity to be part of Rushbond’s sensitive development of this wonderful and historical building. Georgina Maud, who is the creative assistant at Rushbond, says: “The Corn Exchange has a fascinating heritage and we feel very proud to be heralding a new era within these beautifully curved walls and attract more and more people to meet, eat and shop here. We are big believers in the importance and power of design, and were keen to tap into the talent of the future by joining forces with the University’s product design students. Some of the results have been very innovative and indeed inspirational. The exhibition opens this week and the designs will be on display until 23rd April 2018. For more details contact Rushbond on 0113 201 8899.